Pagans often say that we want to get in touch with Nature. But there are many among us who don’t know one tree species from another, or one flower from another. It’s all “oograh“. I was lucky to be brought up by my mother, who pointed out lots of different flower species and taught me to identify flowers by their genus. So I have a fairly comprehensive knowledge of wild flowers. If you didn’t have the luck to be brought up by a keen botanist, here’s how you can become one. My mother is also keen on birds. I like birds and am okay at identifying them – but they won’t stay still, which hampers the efforts of the amateur ornithologist. Flowers and trees are easier to get started on than mushrooms, grasses, birds, or moths, because flowers and trees are easier to tell apart. Once you have got your eye in and learnt to identify flowers, you can move on to more advanced things like mushrooms, grasses, and birds. The key to being a naturalist is observation of detail. How big is it? How many leaves does it have? What shape are they? How are they arranged on the stem? How many petals does it have? What are the stamens like? Does it have fruits or seed-pods? Florets or umbels? Step 1 – learn a few common flower species, or make a list of the ones you know already. Find out whether any of them are part of the same family. Step 2 – buy a really good flower field guide, with a botanical key. The key will help you to find the plant in the book by checking the number of petals, leaves, etc. It’s also a good idea to learn the names of parts of plants (stamen, pistil, umbel, floret, etc). Step 3 – Riffle through the book and familiarise yourself with the different plant families, and where they are likely to be found. If you know that the Brassicaceae have four petals arranged in a cross shape around the centre of the flower, or that the Umbelliferae have big umbels (like an inside-out umbrella) it’s easier to get to the individual species by going to the section of the book that deals with that family. A similar process to the above applies to learning bird species, moth and butterfly species, and tree species. If you don’t learn the names and characteristics of plants, it is a lot harder to tell them apart. Associating the specific characteristics of a plant to its name (whether it’s the folk-name or the Latin name) anchors in your mind that it’s a distinct species. It’s the way the brain works. Walking is good for both body and soul, and a great way to be in Nature (and has zero environmental impact, unless you use a car to get there). I am very fortunate in being quite near the River Thames, which is awesome for nature walks. 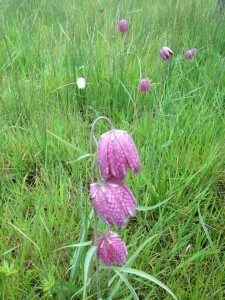 On Sunday, we found snake’s-head fritillaries in Iffley Meadows. Whenever you go for a walk, take your flower book and/or tree book with you. (There are probably apps for identifying things, but it’s nice to have an actual book.) Note down the species you see, and keep a nature journal. I have done this intermittently over the years, and it’s nice to read back over old entries. If you are not keen on writing, take photos, make drawings, or take a very small sample for pressing (but never pick the whole plant, and only take part of a plant if you can see at least 20 other good plants of the same kind). 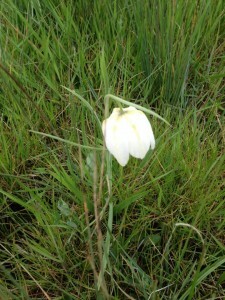 One of the things I do is write “small beauties” posts and post them to Facebook and my other blog. These are descriptions of what I have seen whilst out and about – trees, birds, flowers, interesting clouds, people, boats, buildings. Writing these sharpens your powers of observation, and reading them later is a pleasant reminder of what you have seen. I love going for a walk and really looking at the trees, flowers, birds, and landscape that I meet on the way. It’s how I relax. And it is really rewarding to be able identify flowers and birds and trees: it gives you a sense of achievement, sharpens your powers of observation, and means that you really engage with nature instead of just seeing it as a vague amorphous mass. It’s also interesting and useful to find out about the folklore and herbal uses of plants. In the past, the witch was the village healer (according to legend, anyway), so it’s good to learn the folklore, symbolism, mythology, and medicinal uses of plants. I am not the world’s greatest herbalist, but I know a few things; and I am a pretty good botanist. Most of these are about British natural history (because I live in Britain). If you have recommendations for North America, Europe, or Australia, please post them in the comments. Collins British Wild Flower Guide – a really comprehensive guide to plant families and individual species. Really clear layout, very comprehensive, beautiful illustrations, and contains a botanical key. Roger Phillips, Mushrooms – this is the definitive guide. Not a field guide, but well worth getting a copy anyway. Giles Watson, A Witch’s Natural History – a wonderful book with reflections on the various animals and birds associated with witches – bats, crows, insects, toads, and many more. Meditations on what it’s like to be a caddis fly or a dragonfly larva. Marvellous folklore and stories. Barry Patterson, The Art of Conversation with the Genius Loci – reflections on place and spirit of place. Life seen from the perspective of a mouse. How to relate to your local geology, history, and landscape. Richard Mabey, Food for Free – how to recognise, gather, and prepare food from the hedgerows of Britain. Yvonne Aburrow, A little book of serpents, Birdberry Books, 2012. Yvonne Aburrow, The Sacred Grove: mysteries of the forest, Capall Bann Publishing, 1994. Yvonne Aburrow, The Enchanted Forest: the magical lore of trees, Capall Bann Publishing, 1993. RSPB online bird identifier – I just used this to identify that I saw a Blackcap on Sunday, and it was really easy to use. Barry Patterson – blog, book list. Embodiment, landscape. Creeping Toad / Gordon MacLellan – many wonderful ideas for how to relate to the land in a magical way.